This 50 lb. 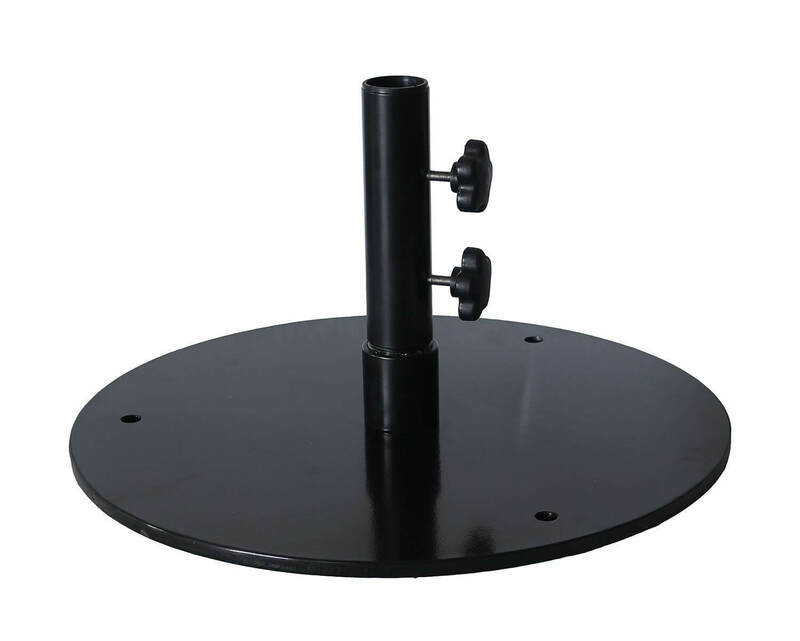 20” round umbrella base provides more leg room under the table due to flat evasive design. Made from steel that has been black powder coated for protection against water and chemicals. Pre-drilled holes are also available for a surface mount option on the pool deck or patio. Capable of supporting up to a 9' Umbrella with help from a table. Great for poolside patio tables at hotels, resorts, and community swimming pools. Comes with a 1 yr. commercial warranty.